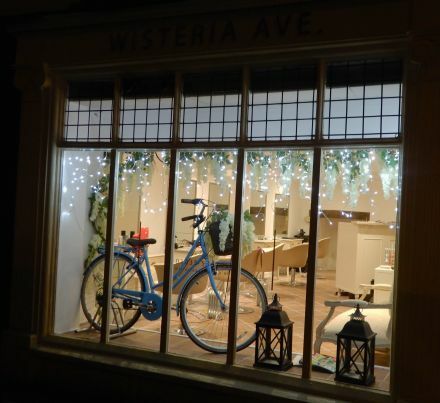 A new hair dressing salon called Wisteria Avenue opened last Saturday in Abingdon. 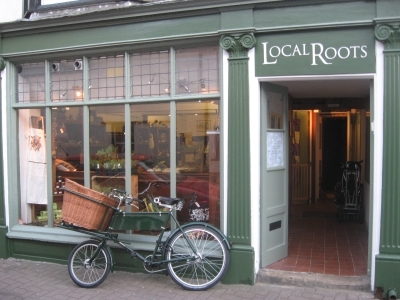 It is in the same premises that once housed Local Roots in East St Helen Street. This is also the same premises that houses the little basement museum – a very interesting place to visit if you ever get the chance. Of course we all wish any new venture to Abingdon the very best of luck, but luck alone isn’t enough. A decade or so Abits ( the disastrous traffic system) was imposed on us which pretty much ground the town to a halt, the town and all roads to it were grid locked and Abingdon was the but of all jokes, businesses closed and shoppers went elsewhere. A few tweeks together with the loss of footfall and things settled somewhat, however with the new developments to the south of town along with those In Drayton and Steventon has plunged the town into worse gridlock than the day Abits was switched on. Most mornings (and especially weekends ) traffic along Drayton rd is queued past Preston rd, regularly it takes 20 mins to travel from the iron bridge into town, each weekday afternoon traffic is queued from Abingdon bridge back to the Culham turn and with no sign of any improvement s things can only get worse. Mindful of the ridiculous state out defunct traffic system is can someone from OCC explanation to me why the spent £10 million pound on a new link road connecting the blewberry rd to the Harwell end of Didcot? It’s the road to nowhere- it’s empty, nothing uses it! Now the same “brains” that created that want to spend zillions on another road to nowhere from the Milton to Didcot link road through reclaimed ( and no doubt unstable) land across the Thames and a railway to the Culham road and then on to the nuenham road? There is no logic in that? If a new river bridge is needed anywhere in the county it’s here! The Harwell road has cleared the way for quick travel between didcot town and Harwell science park. It also really reduces traffic through Harwell and that sharp turn in the centre of the village ( where many a lorry or bus get stuck ). The link road from Milton park across the Thames… why complain? Most eastbound traffic that would frequent Abingdon from the a34 will now bypass Abingdon using the much more capable Milton interchange rather than the lacklustre Marcham one. I think the main message delivered here by OCC though, is that they give up on Abingdon. You all need to face the fact that it is now further down the pecking order in OCC l’s eyes than most of the 15,000+ pop. towns because it is in a perpetual loop of ‘yesteryear’. And by that, I mean the residents, and the town council living and dreaming on how Abingdon used to be, rather than what it can be. And you all hate change. But I suppose that could just the Abingdon blog average reader age. Many a friend and colleague have said they couldn’t live away from Abingdon, because the 50+ pop. Try to brainwash them to stay, Most of the friends and colleagues now however live in didcot. The younger generation have little need for a river and a town centre full of coffee shops, charity shops and barbers/hairdressers. Younger generations want convenience and things at their doorstep (if indeed it’s not available online). They want to be able to commute to work on a train, they want to be able to actually reach the a34 from the town centre, and they want shops! In West St Helen Street we also see traffic from South Abingdon like the Drayton Road. It has seemed worse recently during morning rush hour and school go home time onwards through rush hour. We need to ask whether the review was ever done on the 2 pedestrian traffic light solution to the Drayton Road traffic. It was supposed to ensure traffic was no worse after the Morland Garden development. But did not factor in the new estates built in Drayton and beyond. If OCC has given up on Abingdon, the strategy is to choke the town to death. And whether you are 15 or 75, that doesn’t feel good. Small wonder that residents and business owners protest. The effect of more housing without adequate accompanying infrastructure is not a new phenomenon, however. On the 1960s estate where I live, there is only one road in or out and there are no local shops. Who thought that up?! We are currently experiencing the disastrous failure five years or so ago to have a proper local district plan in place. This will not be resolved quickly with the current lack of central and local government funding. I am not clear whether the current two-tier form of local government improves matters or makes things worse. It certainly seems a bit disjointed. Credible Lama I’m afraid the only thing we agree on is your statement re OCC have given up on us! For a decade we’ve been arguing the case for a full Diamond interchange at Abingdon north and OCC have consistently said they don’t have the £8 mil or do to do the job yet they can pull £10 mil out of their hat to build the road to nowhere for you? You mention the tight turn in Harrell village – how about the daily bottle neck our residents have to endure like the ock bridge junction? West St. Helens, the Culham rd, the town centre, I’m not talking about a village on one of the many routes to didcot I’m on about a major town! The eastbound traffic already has several routes to choose from, the ring road around Lady grove, or past the station and on to Wallingford or through the town to Blewbury/Reading, there is no argument why didcot should take priority over the rest of the county when it comes to infrastructure. My interpretation of Abingdon perpetually living in yesteryear is because we have a rich heratage, architecture, history, and yes the river and it’s neadows all of which I cherish and given the choice of sitting outside a costa looking at 3 whaping cooling towers while listening to the every 3 minute train or sat on a beautiful cobbled market place looking at one of the finest county halls in the country then for me there is only one choice. The traffic has got worse – most noticeably (for me at least) it now queues at 7.30 down Caldecott Road to beyond the mini roundabout (often down Blacknall Road). Traffic can not get out of South Abingdon over the Iron Bridge as it queues down W St Helens to Wilsham Rd. Traffic can not leave South Abingdon from Preston Road because the queue on Drayton Road is from Ock Street to beyond Preston Road. So people rat run where they can, and so, obviously, Caldecott Road is now backed up as well – again because traffic can not get on to Drayton Road. It is a shame that OCC take their duty of care to their residents so lightly. As a direct consequence of this ongoing (decades old?) unsorted traffic situation vehicles now use the “slip road” parallel to the main carriageway on Caldecott Road – and who could blame them – to circumnavigate the traffic queue from Blacknall Road to pop out at the top by Drayton Road. The thing is, drivers who do this do so out of frustration. With this comes increased speed and a lack of concentration. There is now relatively fast moving traffic within inches – INCHES of very young school children as the traffic queuing period extends to the school start time. Part of the reason for the traffic is the bottleneck at the McDonalds roundabout. Did you see the roadworks there recentlyish…was that a jet lane they were building outside the Premier Inn to alleviate traffic moving straight on o the A34? Was it…was it possibly some foresight to edge us towards traffic nirvana? No…what did they do? They replaced some pavement. This lack of foresight is what we are up against. Likewise the smallest chance of an opportunity to do something at the Drayton/Marcham Rd jct…but the MG Garden got built instead… From my POV, this was simply political point scoring between different coloured councils. To the detriment of the residents. I have written – and I would urge others to write for a freedom of information request to The Veil Council, and/or OCC asking who – which consultants advised, as Backstreet mentions above – on the Ock Street crossings fiasco for Moorland Gardens. They expressly said that “the traffic situation will not get worse”. It has. Who paid for this consultancy? Why have they been allowed to get away with such falsehood – to consult on another issue perhaps? I did not get a very robust response – but perhaps others will. As well as this I urge people, if they feel aggrieved enough, or think it is an issue – I appreciate some may not – to go on to FixMyStreet . com and create an issue to be investigated. Just sight that it is bad traffic and a danger to children. Do not add to an existing issue. Create a new one. Do it every day that there is traffic if you have to! Someone must be watching “the map light up”? Finally – despite what I am told by others the reasons I voted for my MP – because it suits someone else’s argument about BREXIT or the Conservatives or whatever…those people are wrong about why I voted the way I did. I voted for Layla Moran for the single and express reason that she said that she will sort out the traffic in Abingdon (just like Nicola Blackwood did before her). I wonder who will get my vote next time? Someone else who also says they’ll do something but won’t? The traffic from South Abingdon to the centre of town was always bad and , indeed,is now getting steadily worse. and worse. The bottleneck at the top of West St Helens Street is a particularlyfrustrating problem. Turning left there depends on a pedestrian pushing the button to cross at the traffic lights allowing perhaps 3 or 4 vehicles to move out from West St Helens Street. BUT very often they can`t move out because the line of traffic along the High Street blocks off the top of West St Helens Street. What it has ALWAYS needed is a KEEP CLEAR or yellow hatching on the road to prevent the blocking and to allow vehicles from West St Helens Street to turn left into the stream of traffic. Over the years I have been in touch with various councillors re this but have never got anywhere. perhaps we should take a leaf from the French and get 6 people with yellow hi vis jackets to stand across the road at the traffic lights, stand against the traffic coming along High Street and thus allow a good number of vehicles to turn left unhindered. Yes such an action would cause some motorist frustration in High Street but it would generate publicity about a problem that has existed for YEARS with no action taken. You never know, a well – pubicised – in – advance piece of civil action by a small number of people might actually tresult in something being done! Fear not Anne according to todays Oxford Times OCC are going to fix Abingdon’s traffic problems by spending £25 million on a new express bus lane along the A34 from the yet to be built park and ride at the bottom of lodge hill to ( I presume) red bridge ! Where do these idiots come from? What planet are they on? What’s the point of it ? The easiest and quickest route already exists through bagley woods, even so any gain will be lost by queuing toget off at Hinksey! You are so very right Anne; frighteningly this exact and very specific issue was a known conundrum when The Veil and OCC handed over millions and millions of pounds of ours to implement AbITS. Even though as a traffic solution it was known it wouldn’t work. AbITS will solve the town’s traffic woes by using an automated traffic monitoring system known as SCOOT. No, SCOOT won’t work in this situation. This is not a situation where it will work. SCOOT is not the answer. Don’t use the SCOOT system. Please implement ABITS using the SCOOT management system. I understand there was even a moment, when it was so horrendous that the blue team at OCC said to the then Yellow team at The Veil that they can alter or even reverse ABITS. However the Yellow Veil didn’t take that offer. As we know, rather than lose political face for the good of a whole community…we continue to live with the results. Oh….and the whole idea of Abits in the first place was entirely dependent on a South Abingdon river crossing also being built. And, if you chose you could have a ponder whether the consultants involved got paid handsomely or not…. I drive through Abingdon at 06:45hrs each morning, generally returning around 20:00hrs. Not sure what you’re all talking about? The traffic flows beautifully! If everyone tries to go to work at the same time, what do people think will happen? It’s simply not possible for everyone to take a car, normally with one occupant, at the same time and expect to have lots of lovely road all to yourselves. Road pricing would be an interesting exercise in place of fuel duty. Whilst roads remain “free”, like the NHS, they’ll be abused. Nobody values free stuff, but everyone complaints when there’s not enough of it. Vehicle Excise Duty is not an hypothecated tax; it does not go directly into the roads budget (it didn’t even when it was called “Road Fund Tax”). At 06.45 the traffic is beginning to build along the Drayton Road; by 07.15 there are significant queues with very slow progress. At 05.30 all you have to do is avoid unlit pedal cycles ridden by people in black clothing – simple! if you find yourself stuck in traffic it means YOU are part of the problem – if you wont stay off the road why should all the other drivers? of course unlike them you HAVE to drive right? That’s such a befuddled argument Rudi. But I’ll consider it next time I’m waylaid in A&E – it it wasn’t for all these sick people there’d be no problem…oh, that’s right, I need a hip replacement so I’m part of the problem. It’s all my fault I have to wait 18 months. We empower, and pay good money to do so, for people to tackle these issues; if they can’t…please step aside. If it’s as simple as us not all travelling at the same time, then please could we cap payment to the next consultant to, say, 50quid, to then suggest staggering our start times? Oh hold on…I know why; consultancy – if you can’t be part of the solution there’s good money to be made by prolonging the problem. H Q in town is now in the middle of nowhere? One could argue the case for more use of cycles? But our highways bods just haven’t thought about that issue, Stratton way for instance has a cycle lane on only one side? There is nothing joint Ned up about the decisions made by OCC ( or their consultants) but the really obscene thing about this is how they pull huge sums out of nowhere to squander or projects of little gain to the public but then cut or close down essential services on the grounds of being strapped for cash? Example – last week an Abingdon homeless simpleton was given an asbo prohibiting from being anywhere in Abingdon, so where’s he going pitch his tent, past the lock where he’ll freeze to death? Not surprising then we spotted him outside a town centre off licence the following day, and this because OCC withdrew funding to secure residential homes (Simon hostel a classic example) so where does he go? The answer is he can go to hell because those in charge of the purse would rather seek kudos on more popular projects ! We could all stay at home and knit our own blankets. Let’s see what she says about the Lodge Hill interchange!!! …she’s not doing well….she needs to mention the Bun Throw, and quick!! Sometimes when I read the comments on the blog I get the impression that people writing have never visited other towns. The issues described here are national if not global and not unique to Abingdon. Traffic at rush hour is lousy peretty much everywhere – certainly in medieval towns which have street layouts and importantly widths, defined for horses not cars. Traffic polution is a real problem in town centres, hence actions have had to be taken in towns to limit cars idling in concentrated areas frequented particularly by kids and old people. Of course it is irritating when you are sitting in traffic, and of course there are things that might be tried to make things better (although i am sceptical of some of the ‘solutions’ – they religiously ignore the impact of improved traffic flows attracting more traffic). But frankly it’s not that bad here and more than compensated by the many other attractions of living in our beautiful town. The little basement museum? What is it and when can you visit it? indeed, Iain. Some commentators on this site ought to come to Luton during rush hour … it is way worse than Abingdon, and many other towns are too. Maybe the reason that highways prioritise other areas and projects is that, with a limited budget, they have to focus on areas where the data shows traffic is worse than in Abingdon? To find congestion on the approach to the double roundabout at the White Horse at 10.30 is an increasingly regular phenomenon. It has been aggravated over the past two years. In a town of 30,000 it is faintly ridiculous. I have lived in London, Oxford, Burnley, and commuted to Manchester and Leeds, so I have some experience of heavy urban traffic. I agree that medieval towns were not designed with modern traffic conditions in mind, and finding an effective solution is not easy. That is why we need competent traffic and highway engineers and imaginative town planners. Most importantly, we need patience and courtesy behind the wheel. When we compete for a stretch of road, problems intensify; when we collaborate, problems dissolve. Can anyone answer; when money is paid for a consultant at what point or on what basis is that money handed over? Is it that if the consultant turns up, that they are paid in full? Is it that they go away and come up with a scheme, any scheme, and when that’s bound in a glossy folder, then they are given the cash? Or, is it that we are to pay for their expertise? And the measurement of that expertise is whether their ideas meet the brief? I agree that medieval towns etc etc….but at what point do we stop paying people to not fix the problem? And at what point do people become accountable – as consultants or councils or unelected decision making council officers, for pressing ahead with solutions that do not work? The Drayton Rd traffic is now substantially worse as a direct result of someone – a consultant, a council or an officer (and of course BREXIT). So, who? And how do we ensure they do not continue to contribute to Abingdon’s unfixable woes and adding to the problem, rather than being part of the solution as we might justifiably expect? Or is that an unrealistic expectation? The traffic from South Abingdon along Drayton Rd hasn’t always been bad. I used to travel to work in the late 80’s and 90’s to Oxford every day and it used to take me about 20 mins (in the early 80’s it used to take me 20-30 mins to get to Oxford from Grove)!!!! Surely the more houses built the more the shops will close, as extra housing leads to more traffic, and extra traffic leads to excessive queues and less places to park, people then find it easier to shop online which leads to closure of shops. And of course as we all knew – moving the crossing on the Marcham Road would have NO IMPACT on the Drayton Road traffic at all. Now 70 years on and still the main route into town ( and the A34) is via Ock bridge. Our infrastructure hasn’t kept pace with our development, simple ! 75% increase in vehicles is bound to mean a significant increase in queues. Thank you for those interesting stats Iain which just goes to prove my point that our infrastructure hasn’t kept pace with our developments? And my gripe about OCC willing to spend £25 million on a bus lane that will do nothing to improve traffic from the south of Abingdon or indeed the town centre itself and while agree our medieval town has some serious restrictions it wouldn’t take too much to make a difference to our traffic issues, please be mindful to Iain that like me you live a couple of hundred meters from the town centre ( and work from home) so you see little if the gridlocked roads leading into town! lol! This is the best Brexit trolling yet! Abingdon’s traffic problems are replicated in hundreds of towns throughout the country. Why? It is the result of a surging population. In present circumstances the problem will get worse and worse. Thanks pjh64. Fortunately we will be able to blame BREXIT for ever now (if it happens). The only thing it won’t do of course, is make the flowers worse. 1) Are roads may be public, but are privately funded. For over 50 years most roads built in the UK have been designed, constructed and paid for by housing developers or other commercial businesses. Wimpey for example paid for 80% of the roads in South Abingdon. The ring road in North Abingdon. All private. Changes on the Marcham road, etc. are funded from private companies under Section 106 of the planning act. OCC applies for grants for various other elements. That explains why Didcot is getting new roads, because they are not been built with tax payers money at all, but funded by private companies. Although the traffic in Abingdon is bad at peak times, that is similar to every similar old town in the developed world. Oxford’s traffic is even worse, but people still love living there. Outside peak school times there is no traffic problem at all. The matter is made worse by the Thames Valley Police in their campaign to scare children and parents from cycling and walking, despite the evidence. Online shopping will hit the large out-of-town places which are bland and with poor service. The town is a different market, where people want to enjoy meeting, chatting and events. Many young people may like the bland nationwide chains of Didcot, but in time they will realise that the want to support more ethical, local, small businesses, where the service is much better. There are hardly any shops empty in Abingdon, so they endless negativity, is just not justified.